Hi! 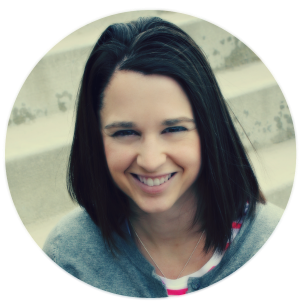 I'm Molly from Just a Little Creativity, and I'm so excited to be blogging with Ginger today! She and I met when we were finalist together in the One Month to Win It Craft Competition, and she blew it out of the water with her amazing Nativity set she made with her Silhouette machine. She's been my "go-to" person ever since when I have Silhouette questions, or just want a little craft inspiration. 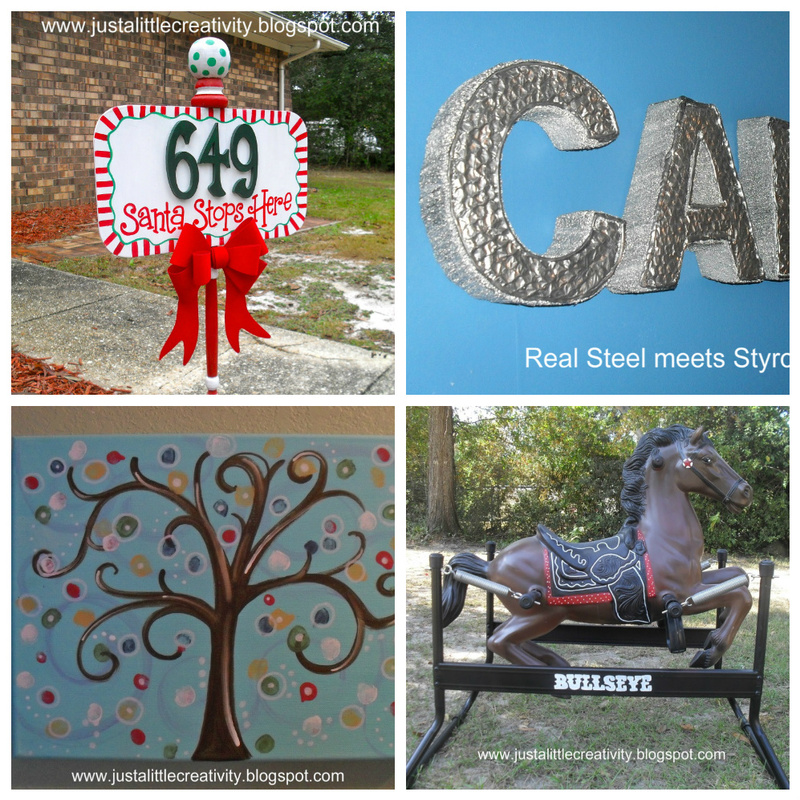 At Just a Little Creativity, you'll find lots of DIY projects for just about any skill level, although painting projects are what I'm most fond of. I try to keep them simple and fun, and as a mother of five, I love projects that I can get my kids involved in. Because I'm totally into projects for kids, and because school is out for Christmas break and we're all looking for something to occupy our little angels minds, today I'm going to share with you one of our family's very favorites, hand painted wooden penguins. The kids made a set for my dad for Christmas two years ago, and I needed to have my three year old add his to the collection this year. We've done a few versions of these fellows over the years, so I'm going to show you two of them. One is a stand alone penguin, and the other is a Christmas ornament. 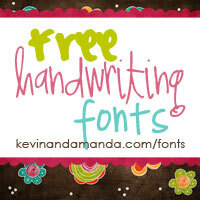 These supplies are available in just about any craft store. First, you're going to paint the entire wooden egg black. You're also going to paint the end caps in the color of your choice (these are the penguins feet). 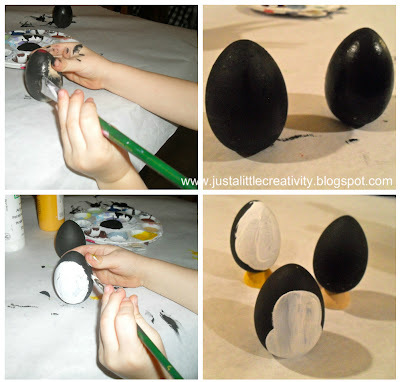 Next, when the black is dry, paint a white oval on one side of the egg. You might want to help the little ones with this part so they paint something that resembles an oval. 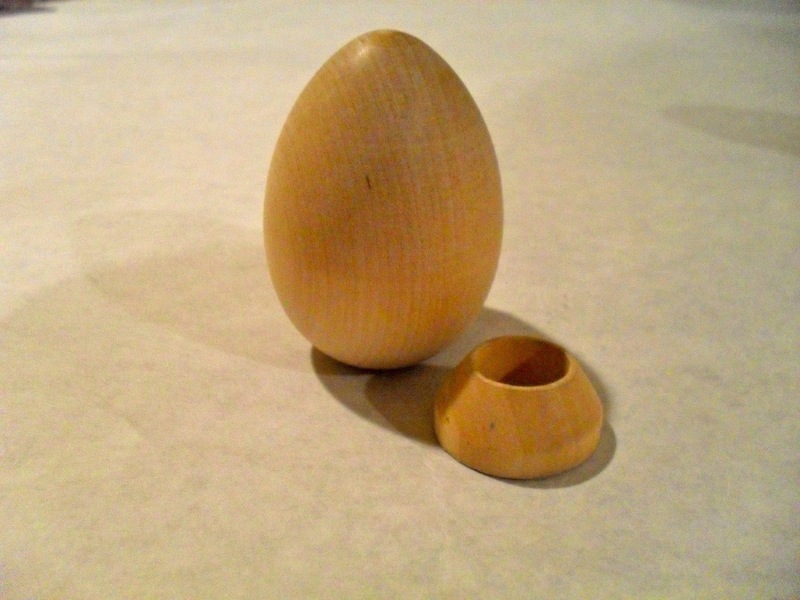 You (the grown-up, not the kids) can hot glue the end caps to the egg as the penguins feet. 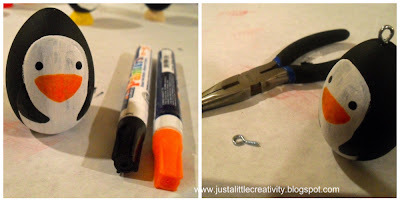 Now, you'll make two tiny eyes and a triangle beak with your paint pens. For the wings, you can use your black paint pen and draw two curved triangles just under his beak over his white belly. A few of my kids used different colored paint pens and actually drew triangles on the black sides of the penguin, which I think is cute too. If you're making this into an ornament, then you take your screw eyes and screw it by hand onto the top of the penguin (I used needle nose pliers to help). I love how each little penguin has his own personality. I wrote the names and ages of each of my kids who painted one. 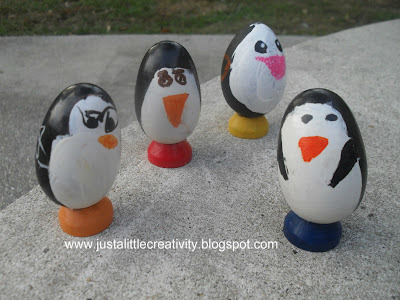 The stand alone penguins in the photo are made with kids ages 3-7. The ornament was made by my 11 year old. Remember, these types of projects aren't always about being perfect, they're about making memories and something they can be proud of. 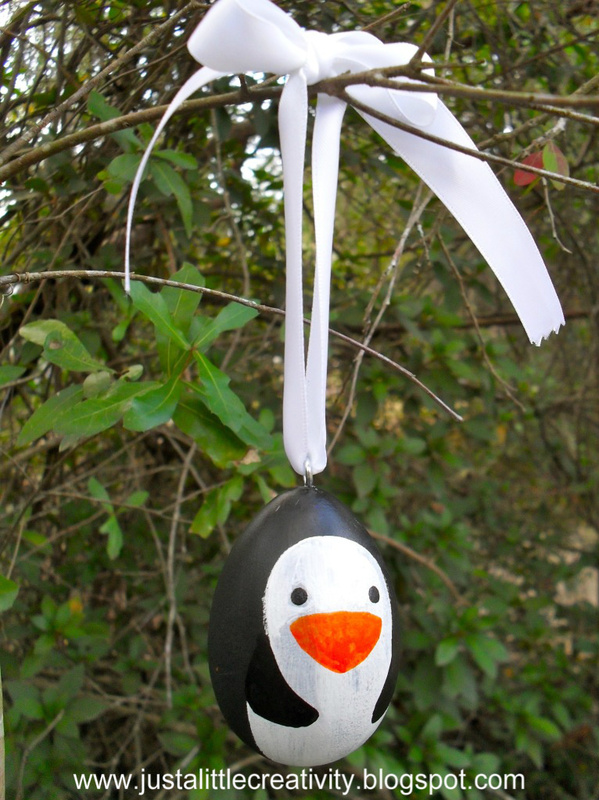 Let them give a set of penguins as a gift to grandparents, or have them take an ornament to a neighbor. The experience of creating something and blessing someone else with it can last our children a lifetime.